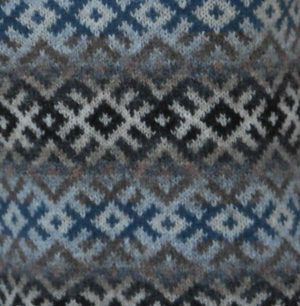 The beautiful soft neutrals of birch bark–twelve shades of gray, tan, orange, and slate blue Jamieson’s Shetland Spindrift yarn–wend their way in and out of a mysterious geometric Komi motif. 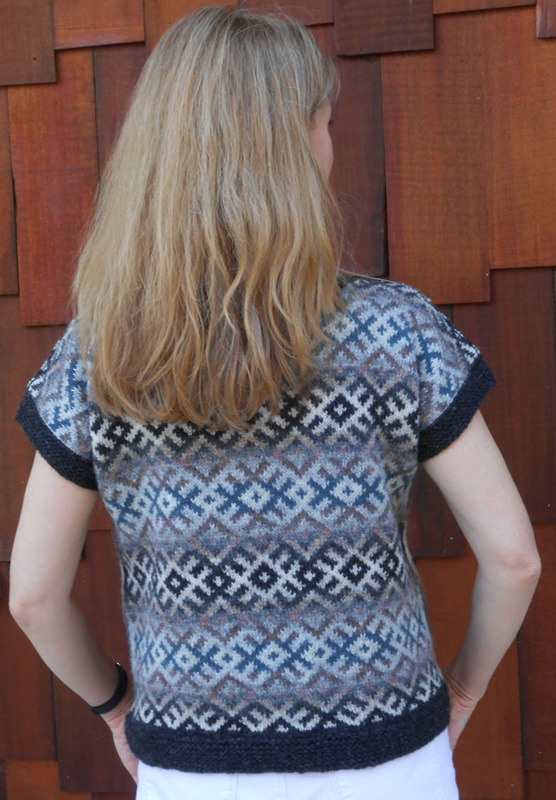 This simple T-shaped sweater is knit in the round in one piece with steeks at the neck and cuffs. The hem and bands are knit with the yarn held double so they have some texture. The pattern is written for 6 sizes: 33”, 38”, 41”, 44”, 48”, and 53”. 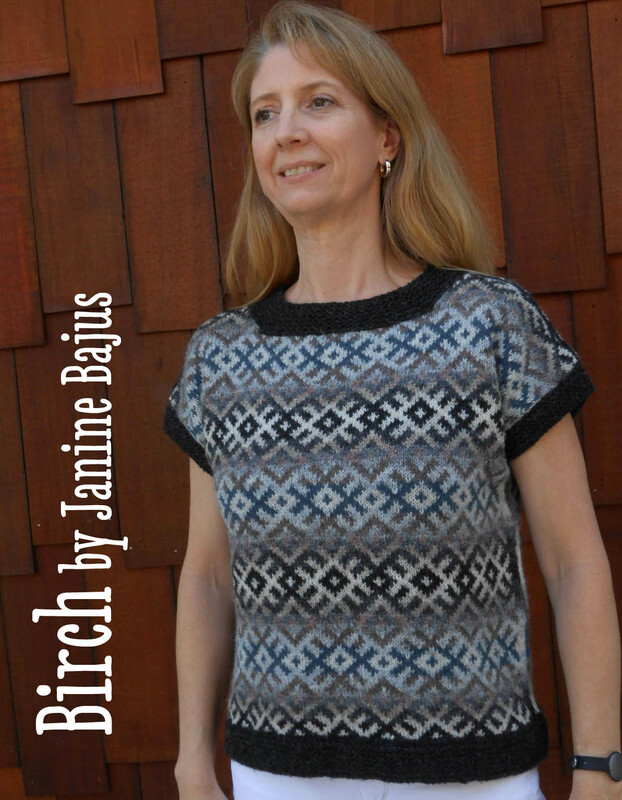 I recommend choosing a size that offers positive ease for a loose fit, making this an excellent layering piece. The pattern includes detailed instructions for securing and cutting the steeks. 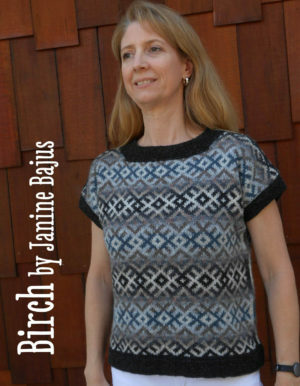 Birch is available as a pdf download from Ravelry (you don’t have to be a member to purchase a pattern through Ravelry).